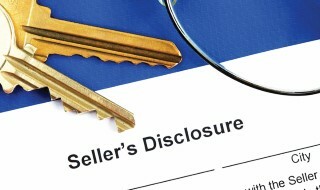 It is important to understand as a seller, what is required by law, for you to disclose when selling your home. You are not required to disclose everything that could possibly be at issue with your home. Importantly, Maine doesn’t require you to hire an inspector or verify the information disclosed in your form. Rather, you are required to disclose only defects that you knew about when making the disclosure. Maine Rev. Stat. Title 33, § 173 states that: “The seller of residential real property shall provide to the purchaser a property disclosure statement.” There are 4 areas of issues with the home that Maine's Legislation has identified the seller must disclose. These include: (i) the water supply system; (ii) the insulation; (iii) the heating system; (iv) the waste disposal system; whether any hazardous materials (like asbestos, radon, or lead-based paint) is present in the property; and (v) any other known defects with the home. While there is no one required form, the Maine Association of Realtors has created a sample form titled “Seller's Property Disclosure” that contains all of the required information that you must disclose to the buyer. Understand, that you cannot simply add an “as is” clause to the purchase contract in order to escape your disclosure responsibilities under this statute. The work and upgrades sellers have done to their property are a common disclosure, whether the work was done with or without permits. If done with permits, buyers are advised to cross check the seller’s disclosure, with the city building permit report. Doing work without the city signing off with a permit, is a key disclosure. If the work was not approved by the city, it may not have been performed to code and may cause a fire or health hazard. Buyers should independently investigate any non-permit work that was done. In most markets, disclosure documents are provided to buyers once the seller has accepted their offer. In addition to their inspections or loan contingency, the buyer has an opportunity to review the seller’s disclosures. If the buyer discovers something negative about the property through disclosure, he can usually back out of the offer without losing his escrow deposit. Bottom line: If you know it, disclose it. If you try to hide something, it can come back to bite you long after the sale and it is just not worth it. Lisa DiBiase is a Broker/Owner. She and her company represent buyers and sellers in the Greater Portland Area. For all your real estate needs contact: lisa@landinghomesmaine.com.